Oil and agriculture drive Chad’s economy. At least 80% of Chad's population relies for its livelihood on subsistence farming and livestock raising and oil provides the bulk of export revenues. Cotton, cattle, and gum arabic provide the bulk of Chad's non-oil export earnings. Remittances have also been an important source of income and Chad relies on foreign assistance and foreign capital for most public and private sector investment. Oil production came on stream in late 2003 and Chad began to export oil in 2004. Economic growth has been positive in recent years due to high oil prices and strong local harvests, but Chad’s fiscal situation is repeatedly exposed to declining oil prices and drought . Recently, the economy has been strained by the costs of repatriating Chadians fleeing the violence in Sudan country facts" data-cl-code="SDS">South Sudan and the Central African Republic. 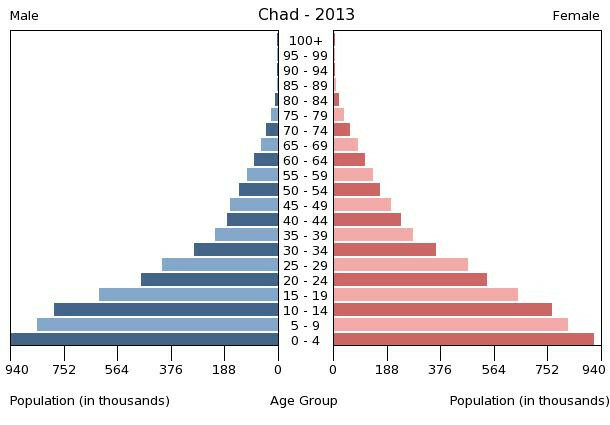 Chad's investment climate remains challenging due to limited infrastructure, a lack of trained workers, extensive government bureaucracy, and corruption. These are the 50 largest cities of Chad ordered based on their number of inhabitants.